The holidays are already fast approaching. Somehow November is almost half gone (or half "full" if you prefer) which means here in the states Thanksgiving in right around the corner. In our home the day after Thanksgiving is game time for Christmas everything! In fact my husband refuses to even look at eggnog until the end of Thanksgiving-even though the stores have been selling it now for over a month. With that in mind I'm sharing one of my favorite Christmas recipes, you know...to bake after November 27th. 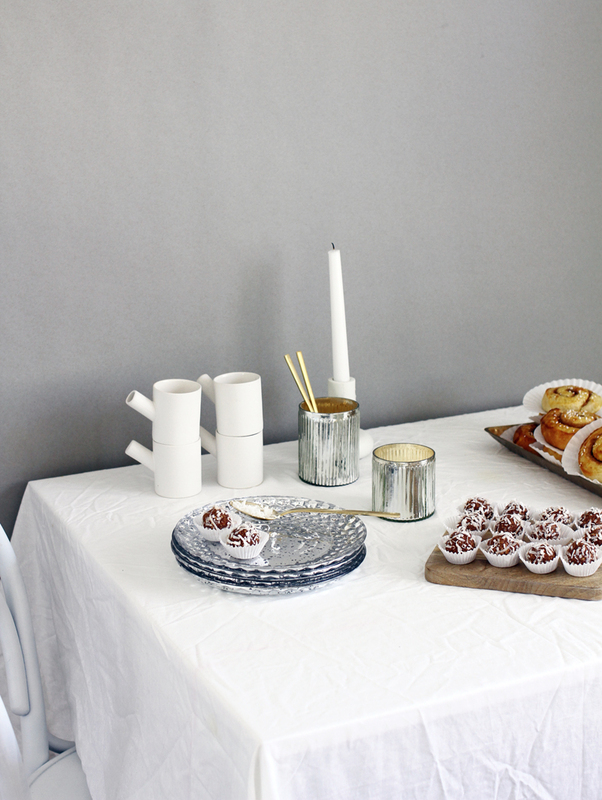 When we were in Stockholm we ate cinnamon buns every chance we got. Since then we've incorporated these into Christmas baking and everyone is a fan. 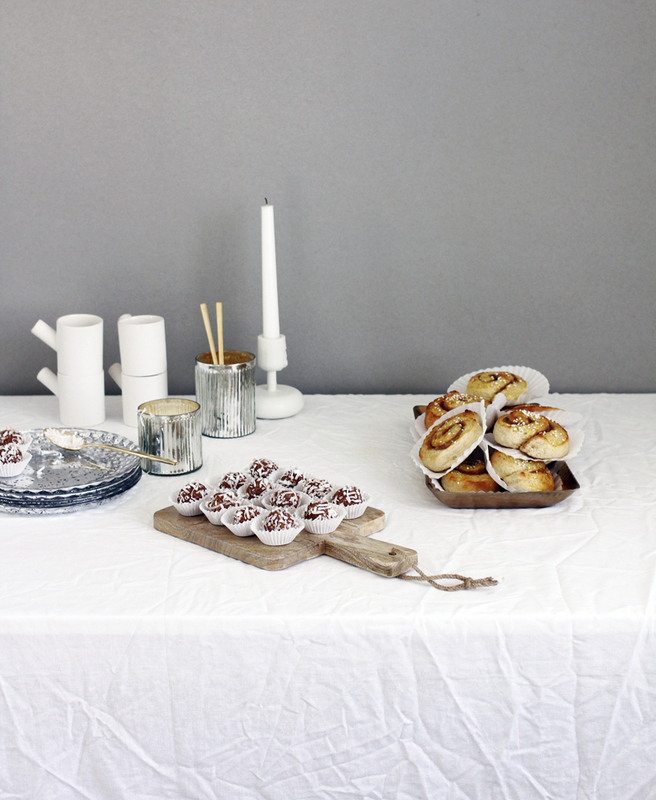 To make this a bit more festive I've collaborated with Target to bring you my favorite Kanelbullar recipe, served on their brass hammered tray. 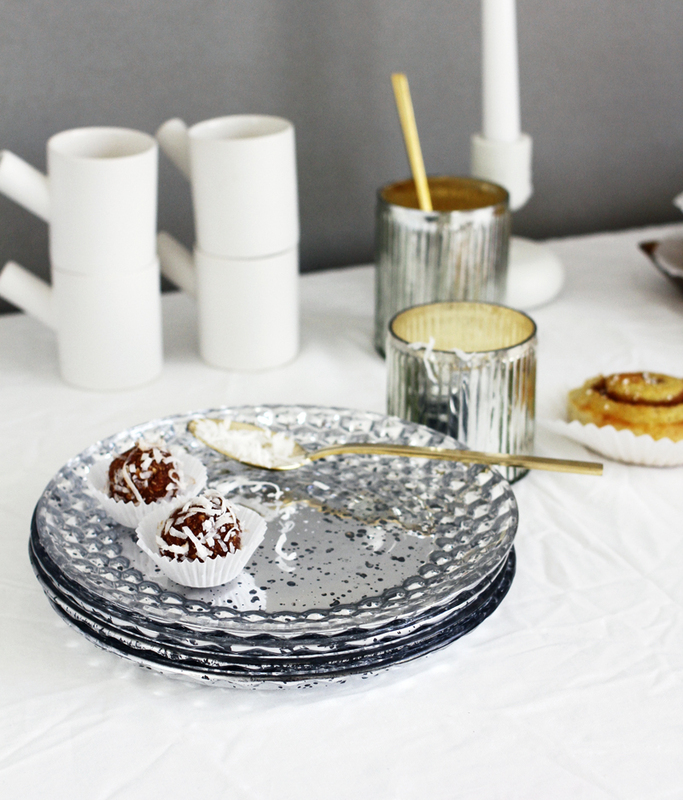 Stack some faceted dessert sized mercury plates, these votive holders (which can be found in store) to hold coconut topping for chokladbollar and gold flatware - you've got yourself a delicious holiday Fika/coffee break. 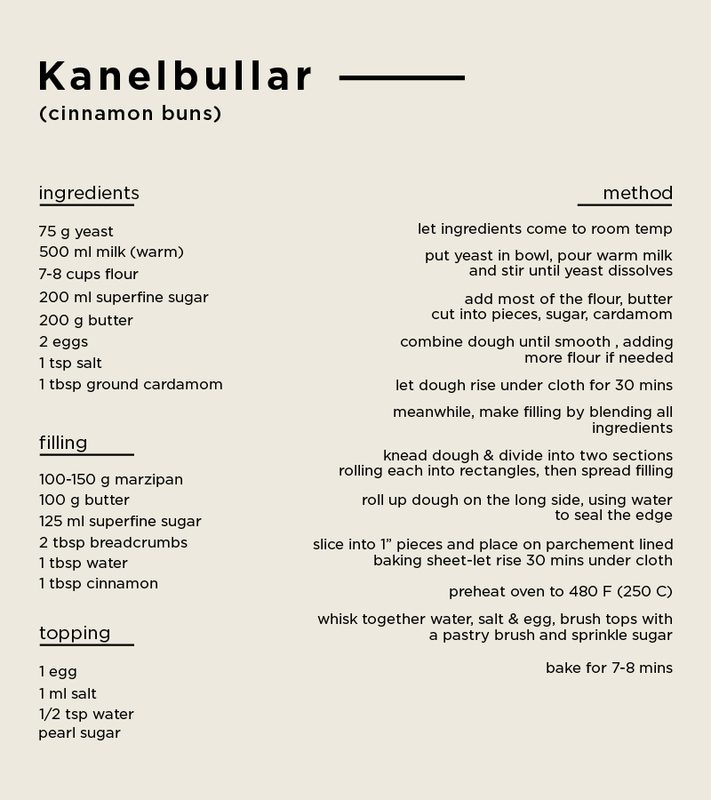 In case you've never made Swedish cinnamon buns, below is the recipe to try yourself. The batch makes quite a few buns and is completely worth the prep time! 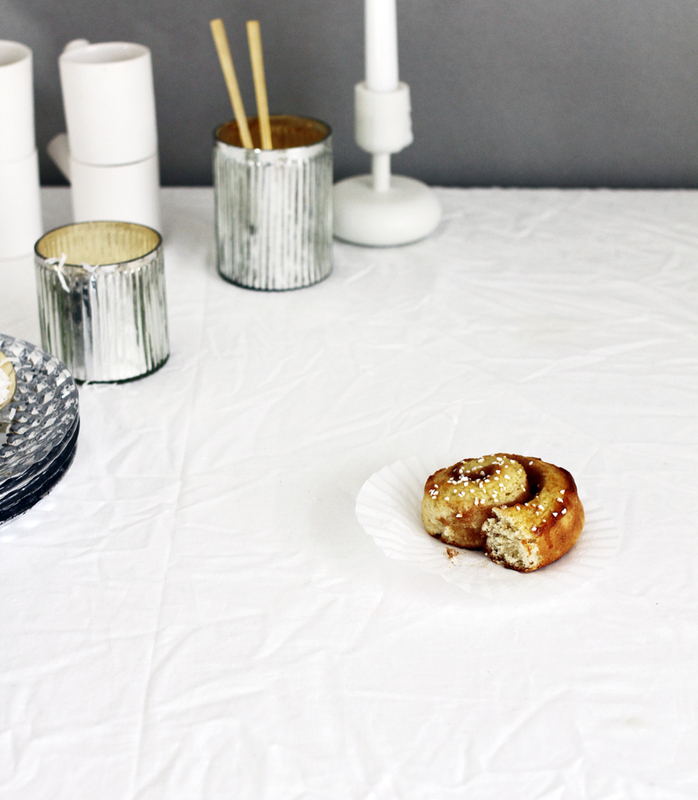 yes, cinnamon buns all the way - always. they are my favorite! 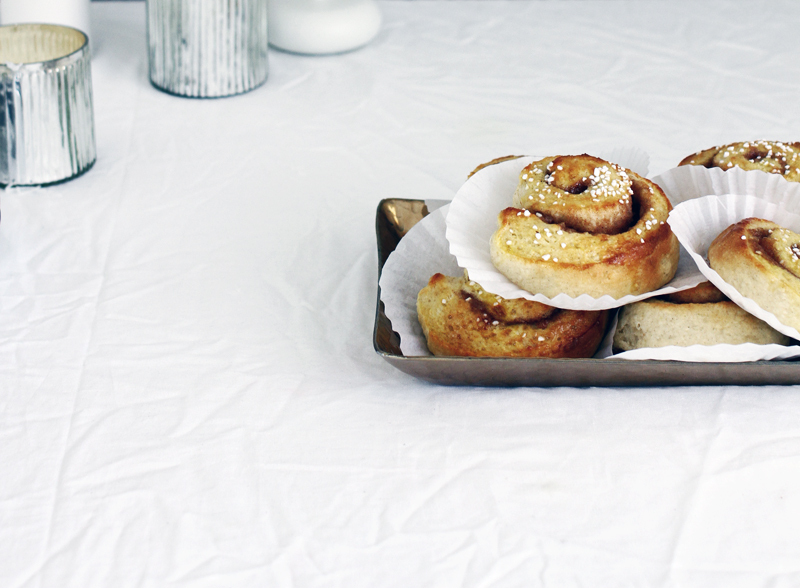 when I visited sweden a couple of years ago there was this cinnamon bun day and the smell of freshly baked buns lingered on the streets. it was amazing. Wow, these look amazing! This is the perfect timing as I have so many potlucks this season, I've run out of ideas on what to make! Thank you! Also, beautiful styling!! I love these! I remember having them during our stay in Copenhagen last year. My husband adores them so I will definitely bake these for him at some point.